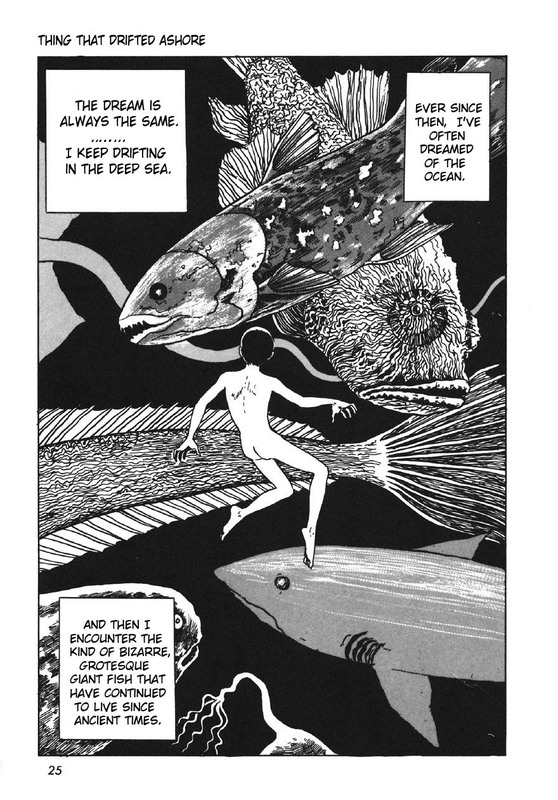 I was just listening to "You Are The Ocean And I'm Good At Drowning" by Phantogram and the lyrics eerily fit all too well with this story. Listen to it here, from the music blog The Burning Ear. 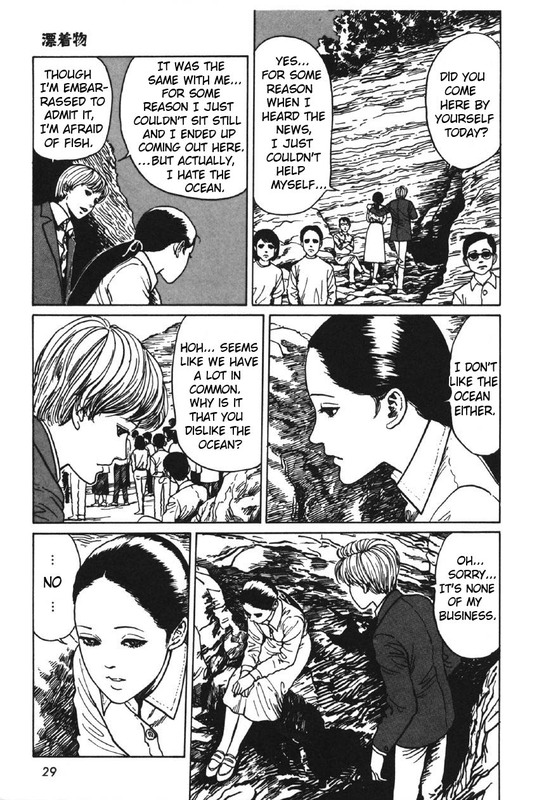 I will be posting more Junji Ito in the next month or two, I've been sitting on a huge amount of his work for far too long and not shared it. 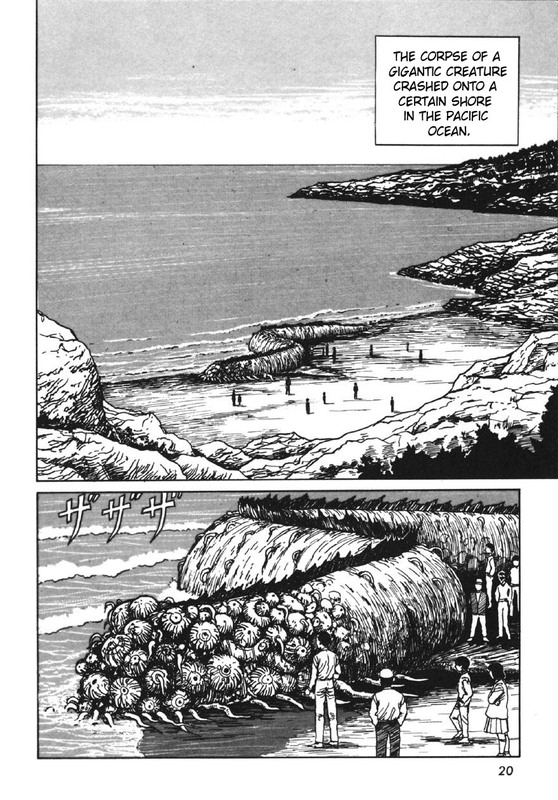 While all of his work is equally fascinating and amazing, I suggest starting with Gyo. 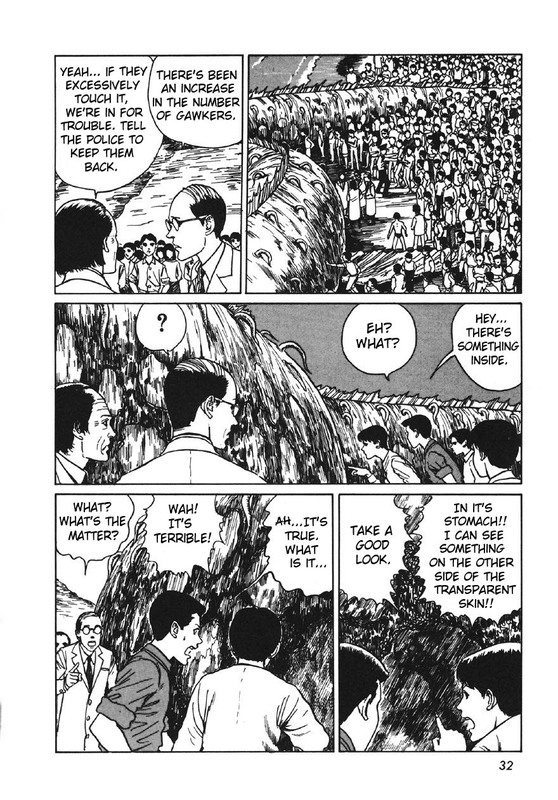 I stumbled onto it at Chicago Comics many years ago and have been a huge Ito fan since. 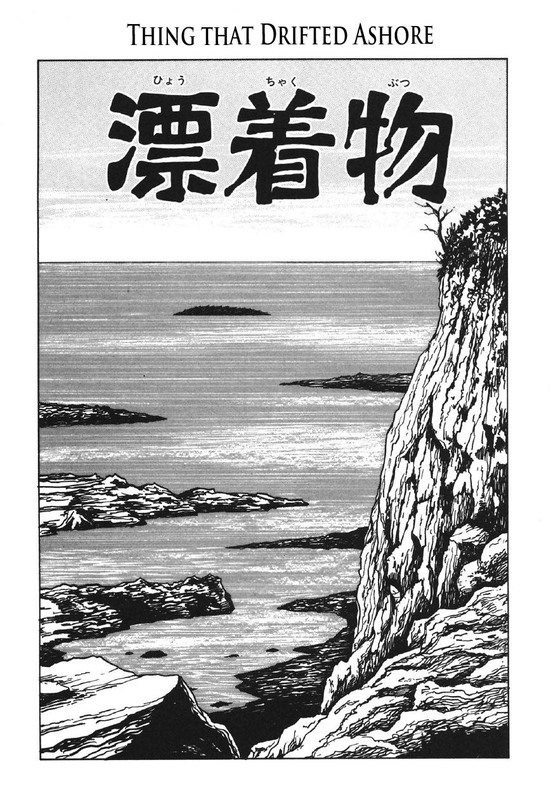 If you read this and liked it, I feel it is my duty to recommended you some of Junji Ito's best work. Just read it. It's short and you will love it. Do a google search and READ IT. Not gory, but good luck forgetting it in the dead of night. If you read nothing else, read this. Imagine scary sea monsters. 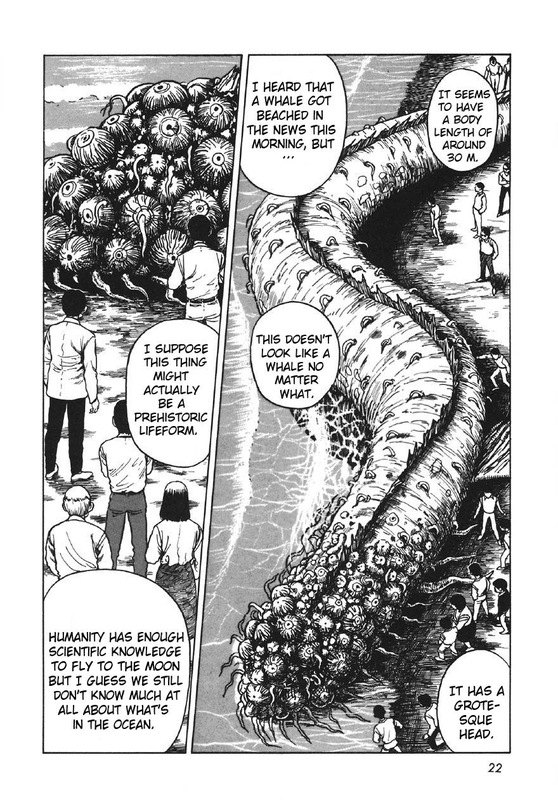 Now imagine them with metal legs sprinting towards you, leaving the sea en masse. It will do to you what Jaws did the first time you watched it. Enjoy your next beach vacation. 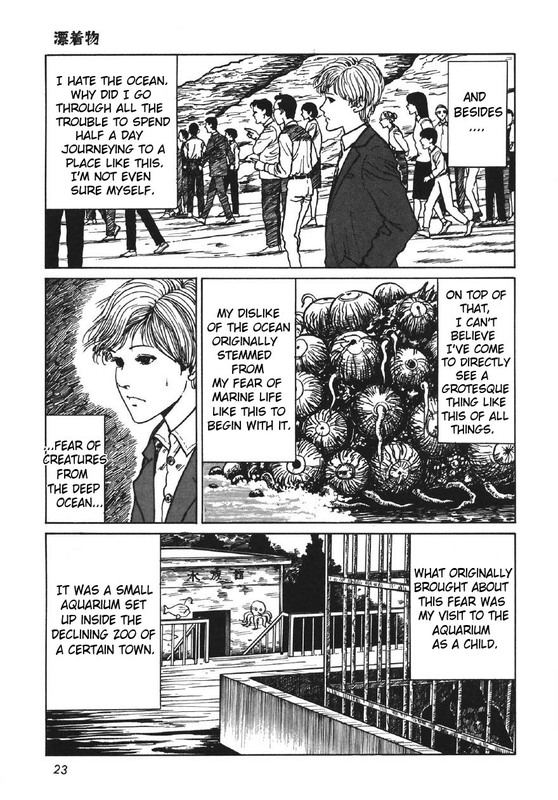 Much longer series about the prevalence of spirals in a small Japanese town. If you have the time, every second is worth it. One of the most haunting reads I've ever experienced- but be warned. There are some really terrifying images, I don't know how this guy sleeps at night. 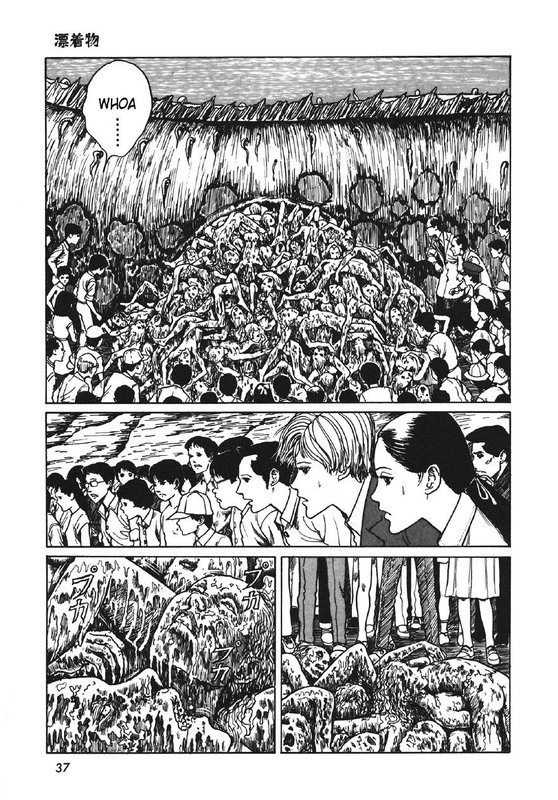 There you go, a short list of must reads from one of Japan's greatest horror mangakas. Enjoy. Great comic thanks for posting. 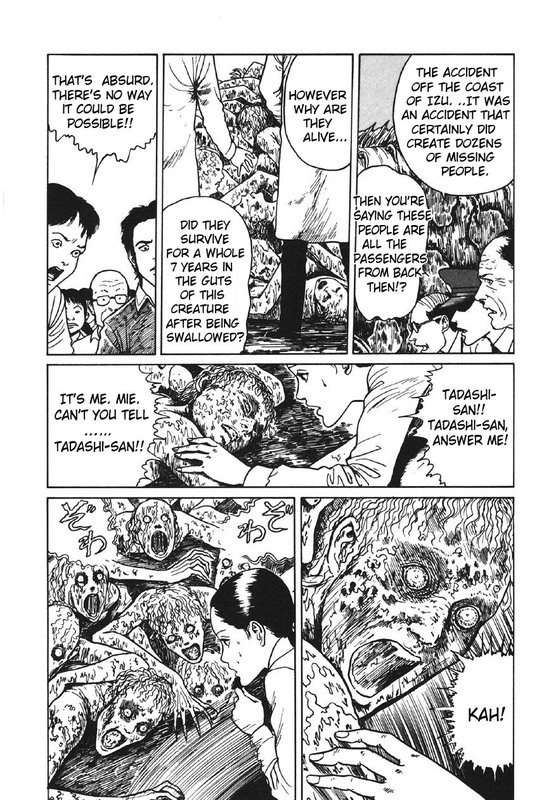 Junji Ito loves him so lovecraft! There will be a continuation, right ? 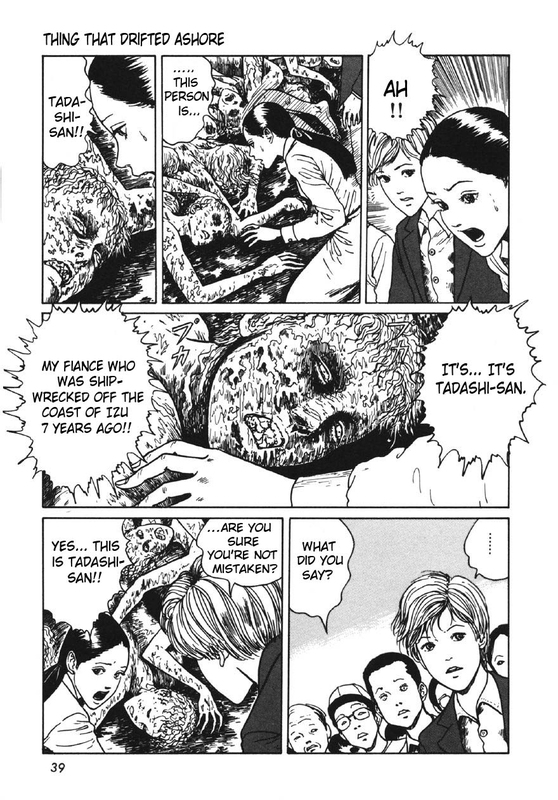 This comic was great, I love stories like these. 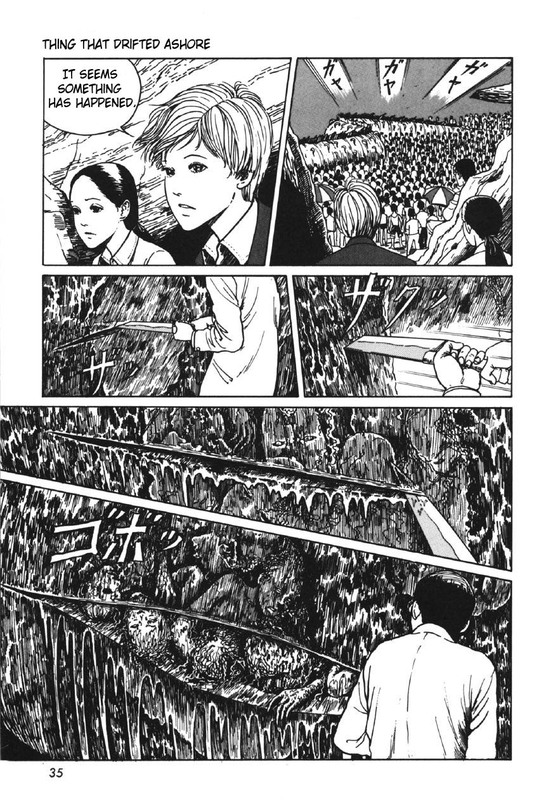 finally some junji ito! great blog btw! Cool, Aeron! I love Ito's work. 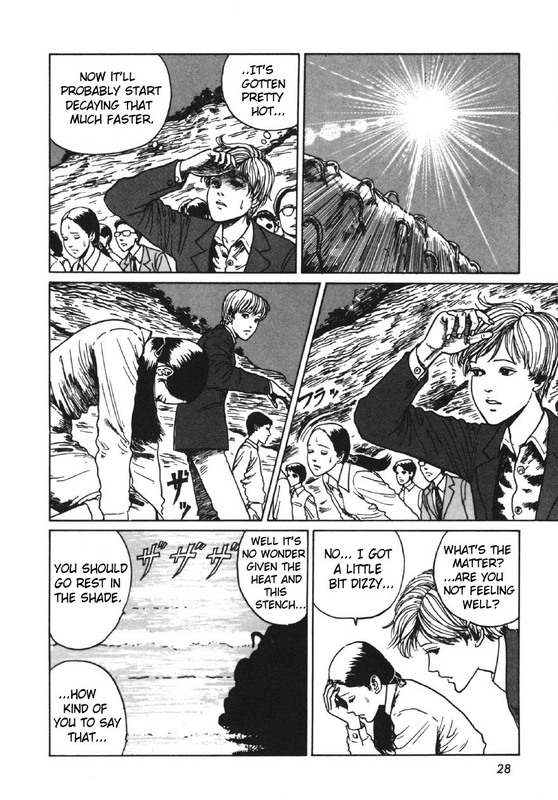 This is a very good comic. 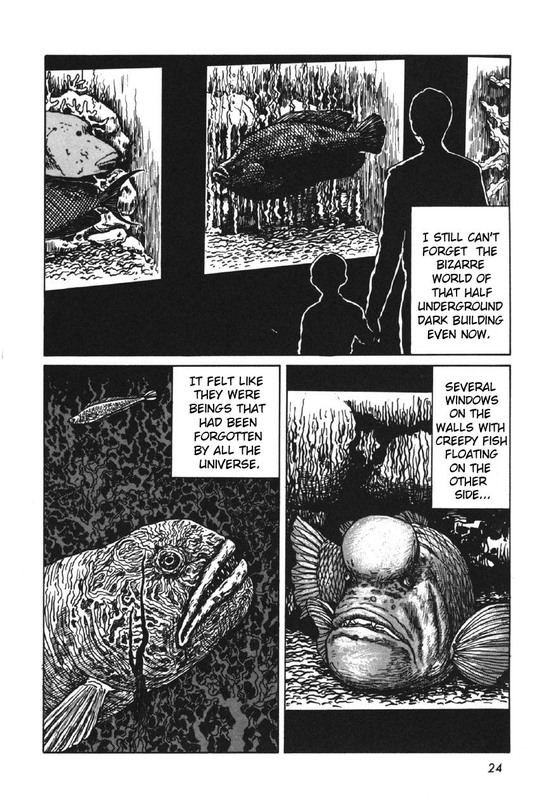 It feels like a much darker version of those sci-fi/horror comics from the fifties. Never previously heard of Ito, but will look into him for sure. 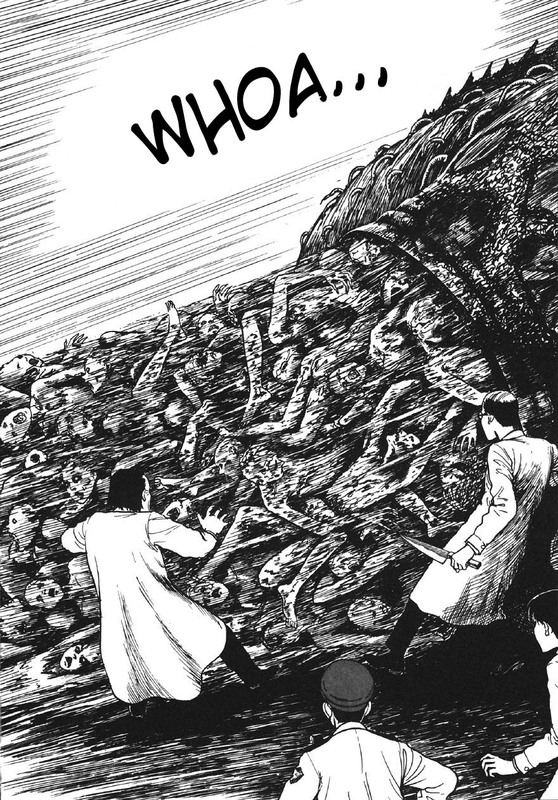 What was this published in? Book form? Thanks very much for presenting that. 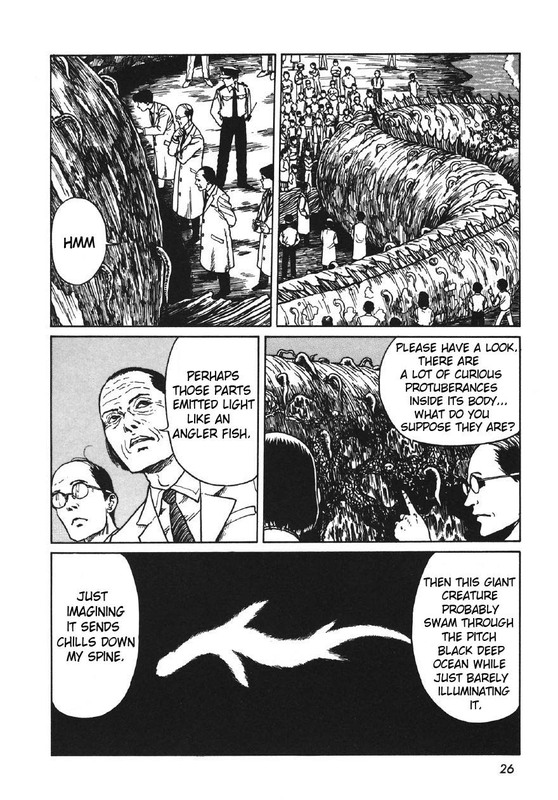 Like the main protagonists, I have also had a life-long fear and squeamishness towards the sea and marine life. Ugh! I found that last line very powerful and unsettling. Very imaginative! Thanks for sharing this. Loved the illustrations. 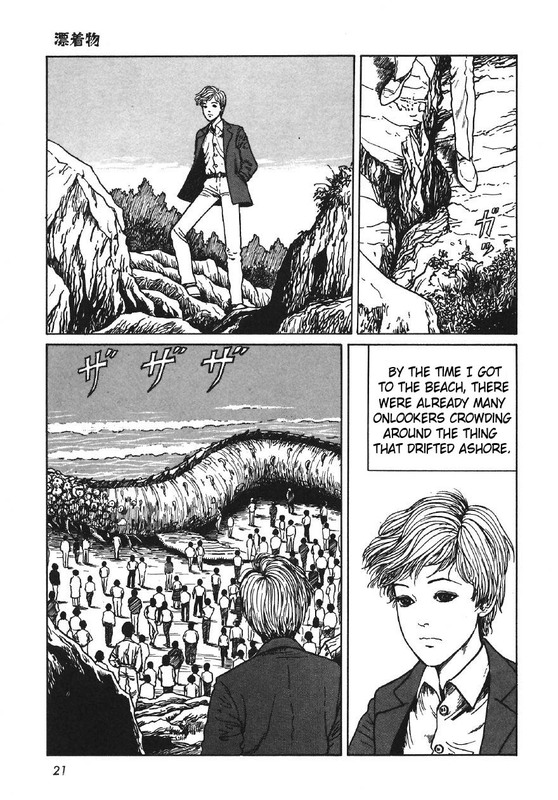 i love uzumaki and i never read any of his other work. this entry has prompted me to do so!! Thank you soooo much for posting this. 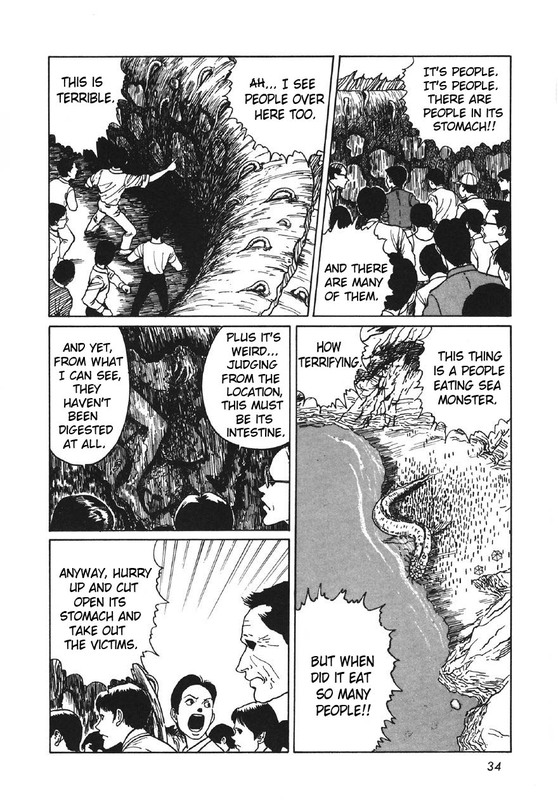 I've got something of an interest in Kaiju, and this is one of the best stories I've yet to read. I also enjoyed the companion song you posted. If you get a chance, try listening to a band called ISIS. Here's a link to a song called 'The Other' off of their album 'Oceanic'. 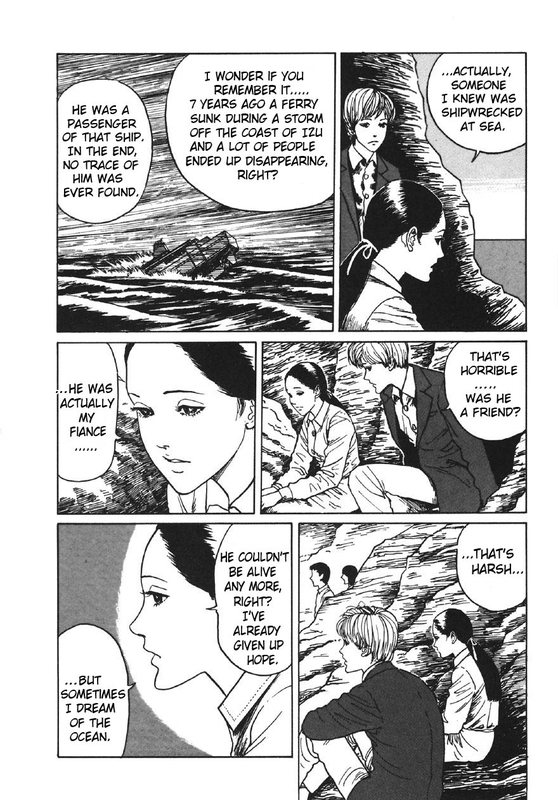 Like the main protagonists, having life-long fear and squeamishness towards the sea and marine life, the nightmares...and then actually loosing the fiancee in ocean, although, it was not shipwreck but cunami...this is really not much pleasant manga to read. 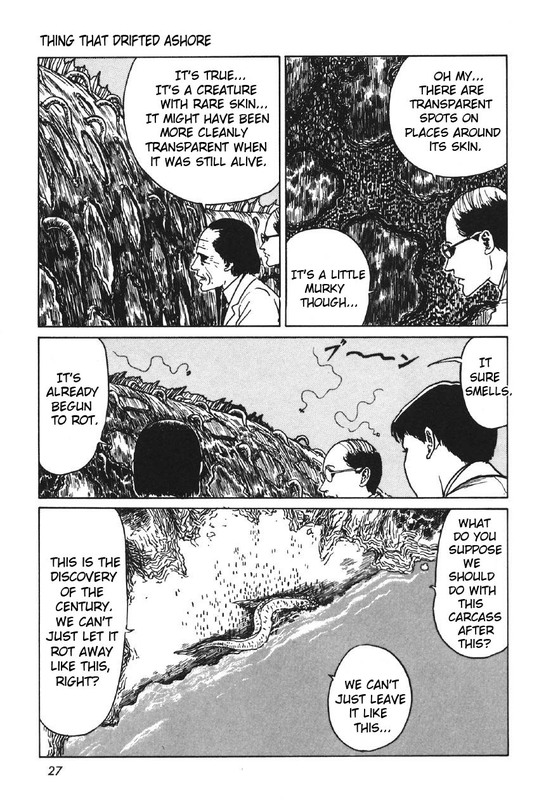 But, can be worse...Reding of Uzumaki while remembering family members falling to bottomless deep of collapsing skyscraper have to be much more sorrowful. Always love me some Ito. Never fails to make me to feel a bit sick.